All of the blocks for the Ombre Gems Quilt Along are done, but as you can see, I have not gathered up my courage to trim them. I really need to just do it and let it be what it will be. It will be really pretty when it is assembled, even if I lose a point or two or ten. In Sew Sweet Bee news, Dori @ The Red Feedsack is our Queen Bee for the month of May. She asked for a scrappy courthouse steps block. 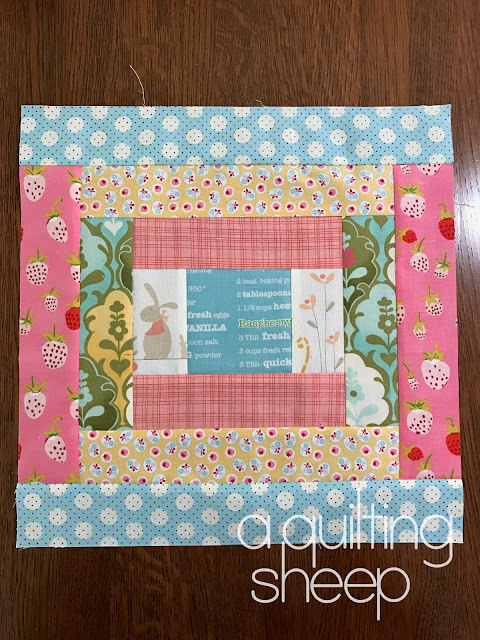 I am keeping up with my temperature quilt! I have another row almost ready to add to it. Look! New colors! That means warm weather has finally arrived in Iowa! Yes!! I love summer! Now that the warmer weather is here, I need to get outside and baste a few of the quilt tops that I have been allowing to stack up. I need to get them done! I don't like having more than 4 tops waiting to be quilted and I have at least 9 (not counting the two quilt where the blocks simply need to be sewn together). Okay, I just talked myself into getting at least one of them basted! Beautiful, beautiful blocks - and what a pretty temperature quilt progress. Looks stunning with all those vibrant colours. Yes, spring/summer has arrived here too. 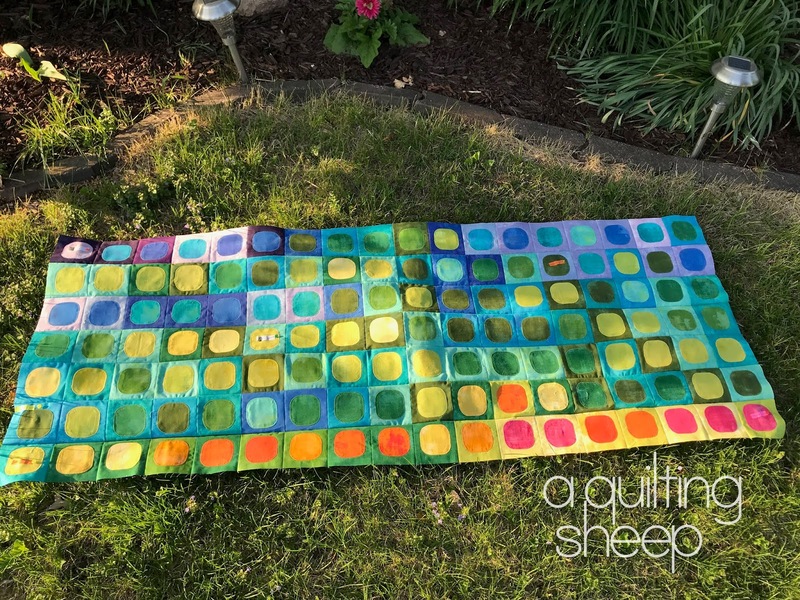 Don't worry about the points in your Ombre Gems quilt - it will look lovely when done. 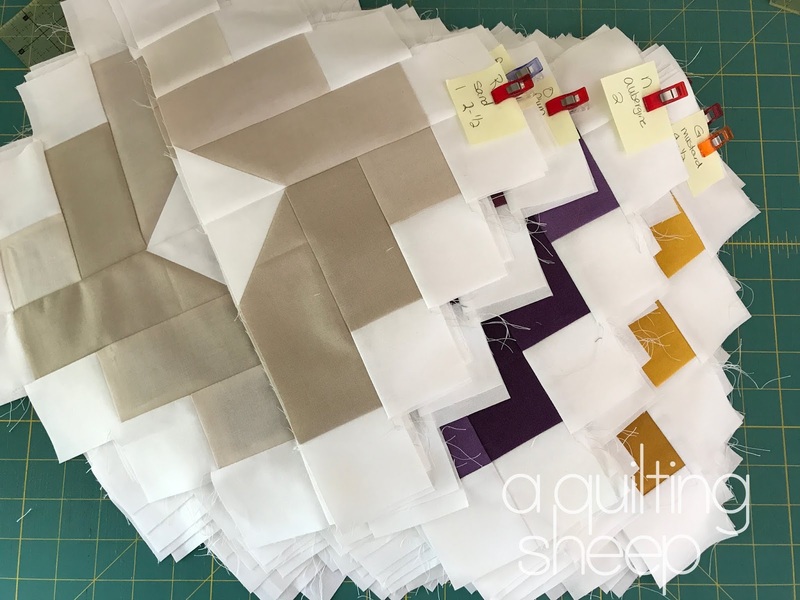 I too have a 'few' quilt tops ready and waiting for those final touches - and itching to cut out the next :)! I have a quilt like that just need to square up blocks. I am right there with you about having so many that need to just be quilted. I am really behind on my temperature quilt. Ohhhh each one is prettier than the last. Wow, so nice. I hope you have a super wonderful fun week-end Amy. It's great to see those warmer colours in your temperature project! Good luck with the Ombre blocks.